Hijacked 2 is a comprehensive and expansive photographic compendium, and the first to delineate the important artistic and socio-cultural relationship that exists between Australia and Germany. Building on the considerable success of the inaugural publication Hijacked 1 . Australia and America; Hijacked 2 showcases the diverse talents and perspectives of 32 contemporary German and Australian photographers. With a focus on the depiction and representation of the young, the boundary-riding, and fringe.dwelling, Hijacked is layered with imagery both evocative and confronting, dreamlike and rousing. As a rare bilateral visual arts anthology, Hijacked compels us to consider two socially divergent and disparate photographic nations. Germany and Australia are juxtaposed to stimulate conversation, suggest connection and invite deconstruction . framing a unique space marked both by synergy and by discord. 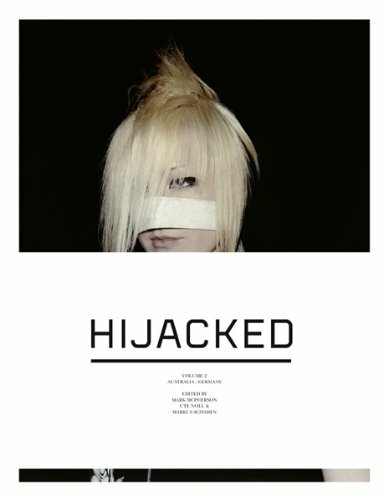 Hijacked engages with the complexities of contemporary photographic practice and documentation, its traditional aims and its transforming technologies, and, as such, offers exceptional insight into an emerging and otherwise evasive zeitgeist.